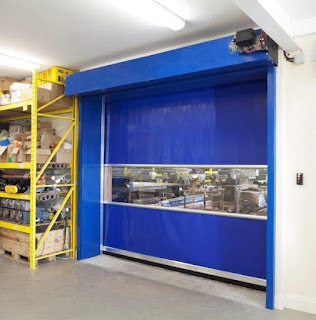 Doors suppliers will be well aware of the increasing use of high-speed doors in industry and research certainly indicates that increasing sophistication in manufacturing will see the high-speed door continue to be in demand well into the future. Sustainability is a clear driver as occupiers of manufacturing, handling, storage and distribution properties accept the need to embrace energy efficiency. Clearly the fast open/close cycles now available from high-speed doors helps energy saving by reducing the loss of expensively heated air and the penetration of cold air into buildings. Their fast action has other benefits – they improve shop-floor environment, they work well in automated production environments, they prevent egress of vermin or air-borne pollution and so on. With the market for high-speed doors forecast to continue to grow, door suppliers who do not have a high-speed door in their armouries can now enter the market. The Door Industry Journal, having been given pre-launch access to the project, understands that the purchase method is totally an online process via www.HighSpeedDoorsTrade.com - from measurements, specification options, payment and delivery which will be 14 days from agreement though there will be a 5-day express delivery service too. The product is the HSD 100 door, an entry level door with a specification of internal use only. It will be low cost for quick delivery using known technology supported by GFA. An external door model will follow. This is a high-speed entry into a growing market and certainly something well worth looking into. There are changes afoot in production which is increasingly becoming a robot world. High-speed is of the essence and so are standards and quality which makes this a very interesting proposition. A product that can save money but also interface with production systems, help with safety issues such as acting as machine guards and of course help negate criminal liability under the Machinery Directive, where it is a legal requirement that employers take all reasonable actions to safeguard employee’s welfare by having a scheduled maintenance programme for machinery which includes automated doors, has to be of interest. The final point regards quality. The HighSpeedDoorsTrade product has a 12 month or 250,000 operations warranty.